The party knew very little about Crucifer. He was first encountered in Lheshayl, a stop-over on a journey to help the citizens of Deepwood in their quest to vanquish a Blue Dragon from their backyard. 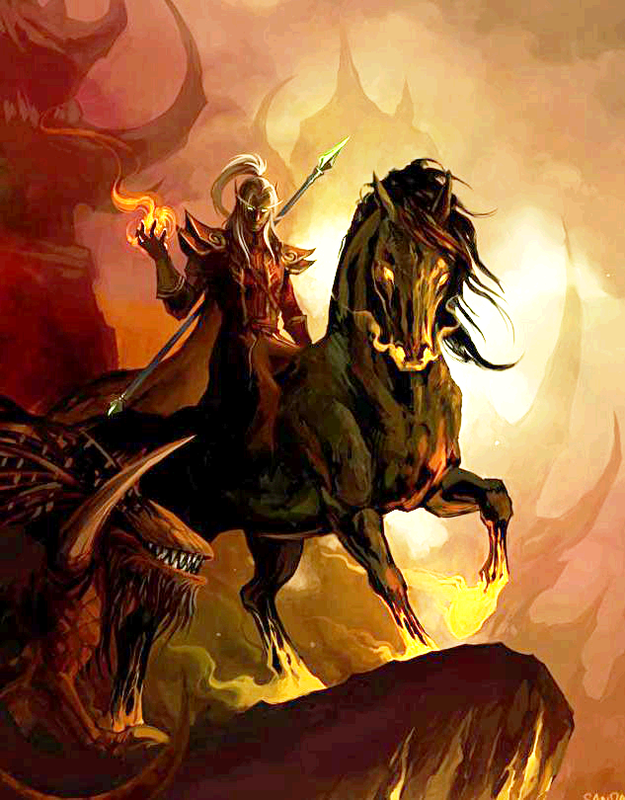 Crucifer had heard about our group of adventurers, and he'd also heard about the Dragon. Realizing that he couldn't defeat a Dragon alone, he sought out the HALLOWed Knights, in the hopes that he could join the group in their quest to defeat this Dragon. We are interrupted during breakfast by a Star Elf who approaches our table asking if we are the H.A.L.L.O.W.ed Knights. He’s scrawny and tall, but does have an amazing cloak made of shadow (Skif becomes fascinated with it). He introduces himself as Crucifer, a warlock with fey bloodlines and commitments. It seems that Quinton had mentioned our quest to him, and Crucifer has been following us ever since. He claims to be ‘ Seeking the heart of a true dragon untouched by magic or sword ’. He also indicates that he was seeking Solmar at his barracks before leaving. I test him by saying ‘ So you spoke to Solmar’s mentor Gunther? ’ Crucifer at least replies with the correct name of Garivek. He indicates he has many wondrous powers including the innate ability to fly without need for rest. He agrees to temporary ally with the H.A.L.L.O.W.ed Knights on this quest and to follow the tenets and constraints of our Concordium. We ask him to return at lunchtime, where we’d provide him our final decision. We also indicate that we would be leaving town immediately after lunch. 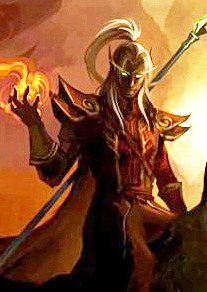 Star elves, or Mithral elves, like sun elves have only recently ventured back into Faerûnian life. Long ago they retreated to the demiplanar realm of Sildëyuir, where they are currently under attack by an extraplanar threat. As a result, some are now returning to the Yuirwood. Crucifer was quite tall (6' 5") for an Elve. He weighed approximately 179lbs, had copper colored eyes and white hair. Crucifer was attended by (more so than wears) a shadowy cloak that seemed to have a life of it's own. The party knows very little of Crucifer's homeland. Apparently, he hailed from a place called 'Sildeyuir' within the 'Yuirwood' forest. None of our party had heard of these places. According to Crucifer, they're far to the east on a forested peninsula, in a land ruled by magic users! Crucifer was slain (9 Jul, 1004) in combat with a 'spell-stitched' bodak. An undead creature acting as a tomb guard during one particularly dangerous adventure. Crucifer's will stipulated that he not be brought back from the dead.